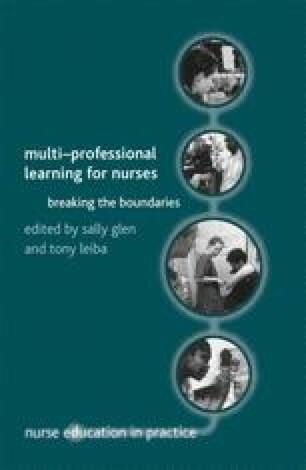 The need for greater co-operation and teamworking between healthcare professionals has long been recognised, and the issues and challenges involved have been fully explored in Chapters 1 and 2. Much of the inter-professional activity between nursing and medicine to date has been post-qualification and based in primary healthcare. This chapter describes a short, inter-professional programme in acute care, involving a small number of final-year medical students and newly qualified nurses, and the way in which this was further modified in an attempt to reach larger numbers of participants.